With less than a week to go of the summer transfer window Manchester United are still in search of a new centre-back. Preparation for the 2018-19 Premier League season isn’t going too well for Jose Mourinho, who has only landed Fred, Diogo Dalot and Lee Grant so far this summer. 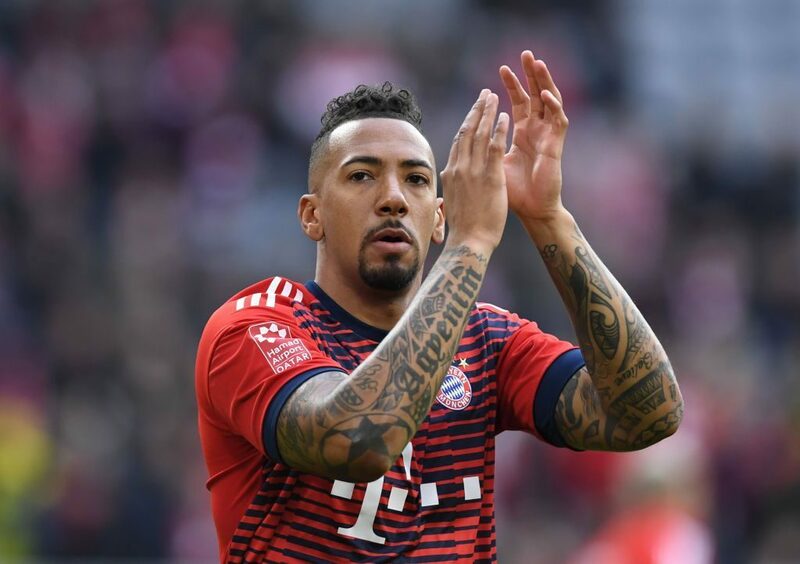 However, it looks as though we could be about to close in on a centre-back as reports from Germany claim that Jerome Boateng is available for €55 million (£49m). The German international has already told Bayern Munich that he wants to leave this summer and we have been one of the names strongly linked with the 29-year-old. German newspaper Bild are reporting that we plan to swap Anthony Martial for the centre-back with the German giants. Martial is currently thought to be valued at €65 million, which Bild state is €10 million more than Boateng’s value, meaning the 2014 World Cup winner is valued at €55 million (£49m). However, the report states that Bayern aren’t so keen on our forward, but perhaps they would accept a straight transfer fee for their wantaway defender. Therefore a swap deal is very unlikely to happen but the opportunity to sign Jerome Boateng for cash is there. The Bundesliga champions already have a ready made replacement for the German international in Nicklas Sule, to play alongside Mats Hummels in their back four. With the transfer window shutting on Thursday 9 August we’d need to agree a deal in the coming week for it to happen this summer. However, it is said that Paris Saint-Germain are currently favourites to make a swoop for the centre-back because they’ve been working on a possible transfer for longer, despite no official offer in place. I am not a huge admirer of Boateng it must be said. Whilst he is a very good defender on his day, the former Manchester City man is prone to losing his concentration and making errors.